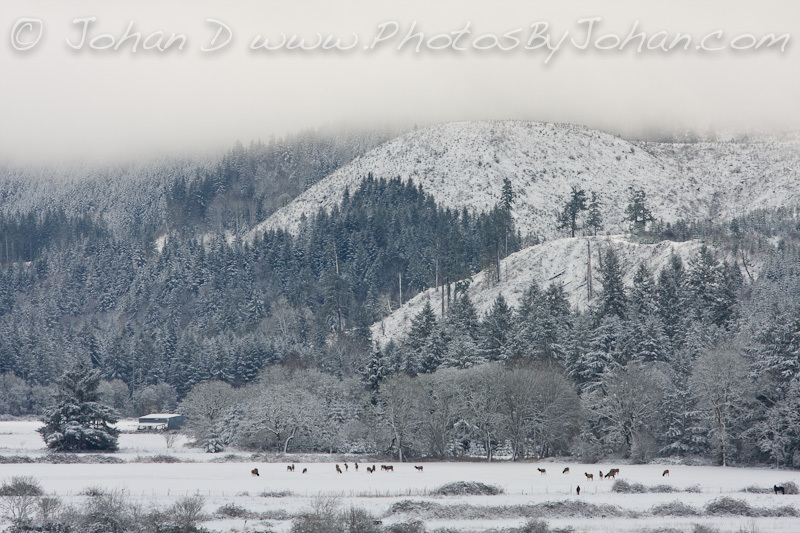 Using my 70-200, I thought that this herd of elk would be too far away to create a powerful composition, but I took a picture anyway. After downloading the images from the day, I was very pleasantly surprised by this shot. The composition works quite well as an environmental portrait. (By “environmental portrait”, I mean a portrait that shows the animal in its environment.) Environmental portraits have the potential to be very powerful, but since they have a tendency to be very busy and thus detract from the subject, they can also be difficult to do well. You can click on the photo for a higher resolution version.